DVD Photo Slideshow is a powerful application for creating the slide show of photos and videos to be presented online or watched on TV and portable devices. 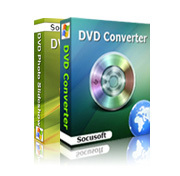 The program integrates powerful components and tools such as Audio CD Ripper, Sound Recorder, DVD/VCD Burning component, Web Album Creation component and Movie Generator. It features over three hundred transition effects, various album themes and templates as well as powerful parameter settings for album photos and background music. The customizable parameters of transition effects are used to control the duration of transition, photo, slide show and audio and the background color. The customizable parameters of album themes are provided to design fashionable creative slide show. As for the mode of album photos, settings of pan & zoom, text, art clips, subtitle and process such as contrast and color balance are provided. In the scene of background music, there are a couple of useful shortcut buttons such as add, delete, trim, play, rip and record, which enable you to edit audio more efficiently. Export slide show into MPEG-4, MPEG and 3GP for mobile phone, iPod, PSP, etc.